The partnership with the America India Foundation’s Clinton Fellowship Program has become an integral part of Calcutta Kids and a rich addition to our operations. In a field which has become infamous for its infighting and noncooperation, this partnership represents the best in international development cooperation. Here are two organizations which have their own distinct objectives, but share a common goal—to create positive social change in India. And together we have been doing just that…creating positive social change through eager young people committed to helping India bring about change that will help empower traditionally disadvantaged populations and, in turn, bring about sustainable poverty alleviation. Since its inception, Calcutta Kids has enjoyed the chance to mentor and provide valuable learning opportunities for the next generation of western development workers through our internship positions. We’ve had dozens of young people from the United States and Europe work with Calcutta Kids to learn about and participate in our mission to improve the health status of pregnant women and children in slum areas of Kolkata. These internships have proven overwhelmingly positive for both the interns and for Calcutta Kids. At the same time, we’re aware that doing it right requires a lot of work on our part to identify the right interns, link them up with needed tasks that will utilize their skills, and then organize logistical support for them. Last year we began partnering with AIF’s Clinton Fellowship Program. And it was a terrific year indeed. AIF carefully selects Fellows who are not only eager to learn, but who also show considerable potential to benefit the small organizations with which AIF partners. AIF also organizes funding for the fellows, and facilitates housing for them. Taking care of these logistics allows Calcutta Kids the time to focus on the Fellow and the task, and to figure out the best means of linking the two. Last year, AIF sent us Margy Elliott who had recently finished her MPH at Columbia University. Margy spent ten months with us, quickly became part of the Calcutta Kids family, and, in the process, solidified our relationship with AIF. Margy took on an array of professional tasks at Calcutta Kids—and in each served as a healthy bridge between the community health workers and the main office administration. She also developed our beautiful website and conducted a SWOT analysis which has provided invaluable insights, and, in turn, has resulted in significant morale boosting among the Calcutta Kids team. 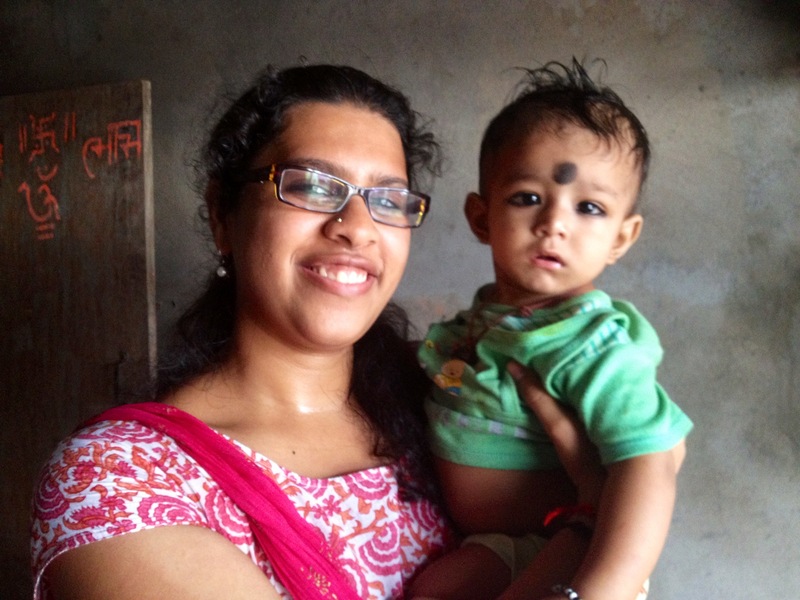 In September of this year, AIF sent us two new fellows—Pranav Reddy and Sriya Srikrishnan—both of whom are quickly becoming part of the Calcutta Kids team and family. Still early on in the fellowship, Pranav and Sriya are getting to know the organization with the idea of identifying limiting factors and means by which they might best be addressed. Sriya is spending a substantial amount of time in the field with our community health workers and participating in our community meetings. She also is working to increase the effectiveness of our behavioral change communication efforts. And she is examining means by which Calcutta Kids might establish a more meaningful and sustainable collaboration with government programs. Pranav, meanwhile, is carefully examining Calcutta Kids data and looking for cost-effective means of expanding our coverage area—one of the organization’s major goals for the coming year. He has a particular interest in examining the inner-workings of an Indian NGO, and then helping to mainstream administrative tasks. 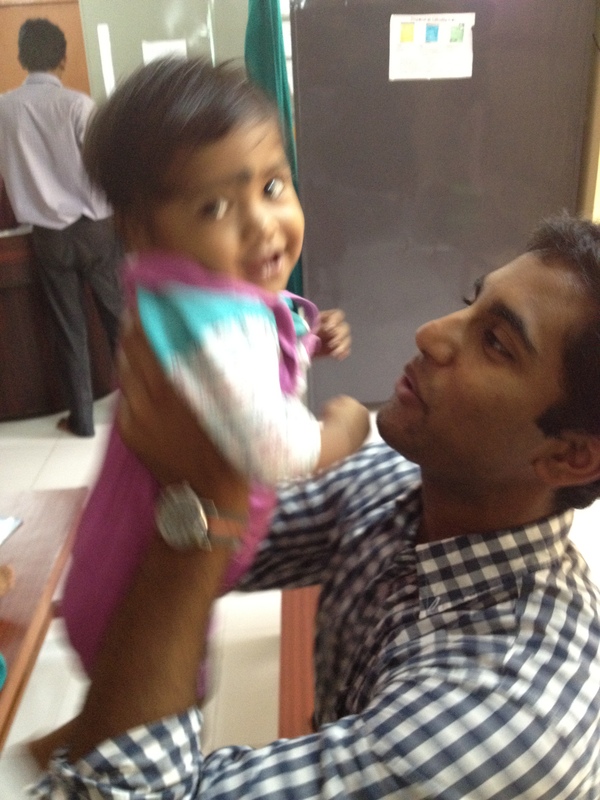 As was the case with Margy last year, we are expecting valuable results from the work Pranav and Sriya are doing. They’re off to a great start! 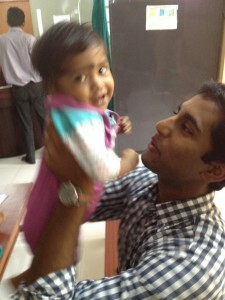 This entry was posted in Calcutta Kids Blog and tagged partnership. Bookmark the permalink.